For four hundred years there has been a special relationship between Britain and what is now the United States of America in many aspects of life, not least in gardening. From the early settlers taking their familiar English plants to the New World and early plant-hunters bringing back exciting new plants for English gardens to the twenty-first-century English infatuation with ‘prairie gardening’, ideas and plants have been crossing and re-crossing the Atlantic. 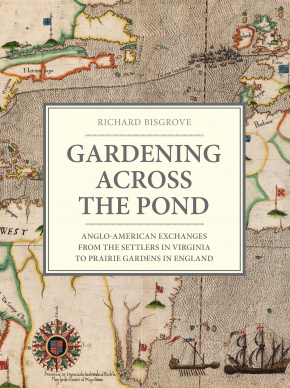 In Gardening Across the Pond, Richard Bisgrove explores four centuries of translantic influences, from the Tradescants, plant-hunting in seventeenth century Virginia, to the prairie landscapes of the 2012 London Olympic Park, and attempts to answer that thorny question – is the English cottage garden an American invention? Richard Bisgrove recently retired as Course Director in Landscape Management at the University of Reading. He has a BSc in Horticultural Science from Reading University and an MLA in Landscape Architecture from Michigan. He served on the National Trust’s Gardens Panel for nearly twenty years and has held several posts in the Garden History Society. In 2004 he was awarded the Veitch Memorial Medal by the Royal Horticultural Society for ‘outstanding contributions to horticultural education, garden design and plant research’ and in 2010 the President of the Landscape Institute conferred on him the Peter Youngman Award for ‘outstanding contributions to landscape’. He lectures internationally and has written several books on garden design, including William Robinson: The Wild Gardener (Frances Lincoln, 2008), The Gardens of Gertrude Jekyll (Frances Lincoln 1992), and The National Trust Book of the English Garden (Viking, 1992). 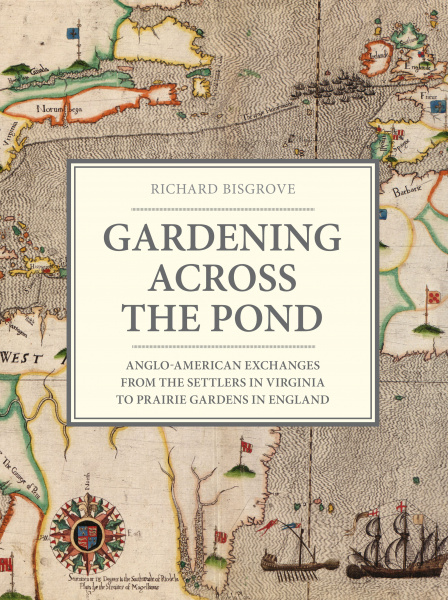 "An accessible account of the special gardening relationship between the USA and the UK that extends back over four centuries. Earns its place on the bookshelves of enthusiastic garden historians and gardeners interested in where plants come from." "Lovely...a fascinating and informative read." "I was completely riveted from the very first page by the interwoven and complex horticultural history of the Anglo-American relationship. A fascinating read...thoroughly illuminating." "Minutely researched, this readable work reflects a lifetime's study and passion for the world's greatest gardens."